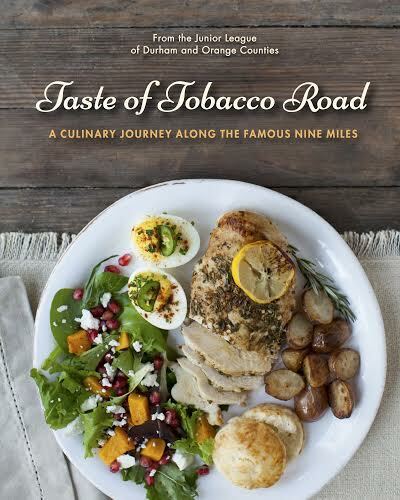 Taste of Tobacco Road: A Culinary Journey Along the Famous Nine Miles is a cookbook developed by the Junior League of Durham and Orange Counties (JLDOC). A culinary reflection of the community the JLDOC has served for over 80 years, Taste tells the stories of our corner of North Carolina to help readers understand—recipe by recipe—why Southern Living recently named us “Tastiest in the South.” Junior League cookbooks are widely considered the best of community cookbooks, and this one comes to you from one of the foodiest communities in the South. Order Taste of Tobacco Road today!